U.S. and Japanese search and rescue teams found the wreckage Wednesday of an F-35 fighter jet that crashed into the Pacific Ocean, but the pilot's still missing. Details: The F-35A fighter jet vanished from radar during a training mission from Misawa Air Base in north-eastern Japan Tuesday evening local time. 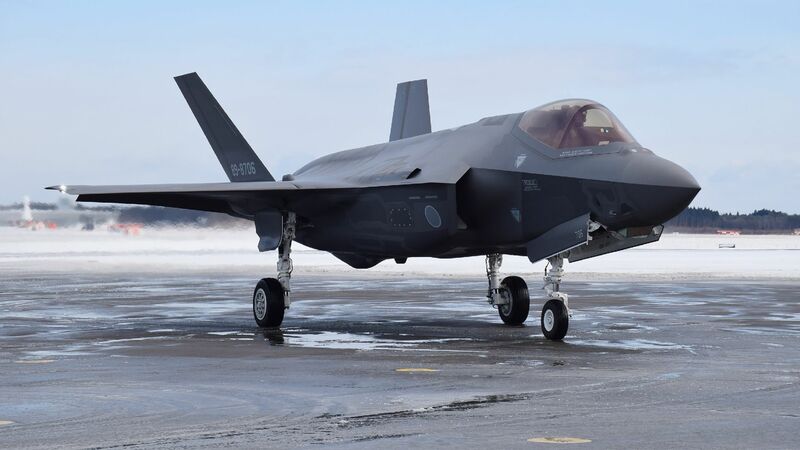 Japan has grounded its 12 remaining F-35 fighter jets at the Misawa base temporarily, Defence Minister Takeshi Iwaya said, according to the BBC. Between the lines: The Lockheed Martin stealth jet is "the most affordable, lethal, supportable and survivable aircraft ever to be used," according to the F-35 Lightning II Program web site. The big picture: This was the second crash involving the stealth jet within 7 months. In September, a U.S. Marine Corps F-35B fighter jet crashed in Beaufort, South Carolina. Investigators found a faulty tube was the likely cause of that crash, which prompted the Pentagon to temporarily suspend F-35 flight operations.